I made sure that I went sight seeing as much as possible when I was in Boston! I mentioned in my previous post about my New England adventures, that my best friend new this little fact about me and made sure that I was able to see as much of the city as I could during my stay. Leading up to my trip she kept telling me that she had a surprise for me. Originally I thought it was just dinner at a nice place, or maybe she actually got her hands on those Drake Tickets since he performed when I was there (fan tears). It was not until she told me that I should "dress for a date on a chilly December night" that I realized I would be interacting with some type of coldness. I thought I knew what we were doing until she told me to guess and I said, "ICE SKATING," with a confident smile. Her and her friend busted out laughing, like yeah okay Angelica, in the middle of the summer? I thought it was a pretty reasonable guess! 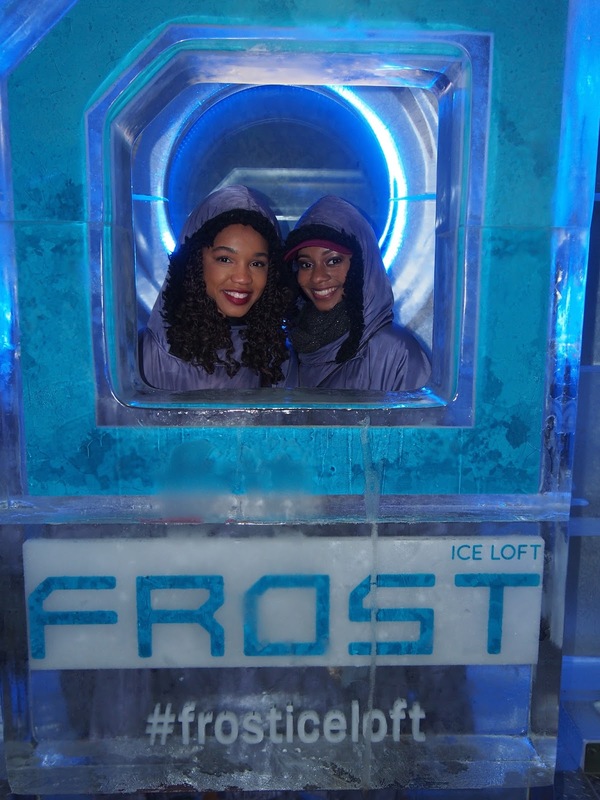 Instead she took me to Boston's Frost Ice Bar! 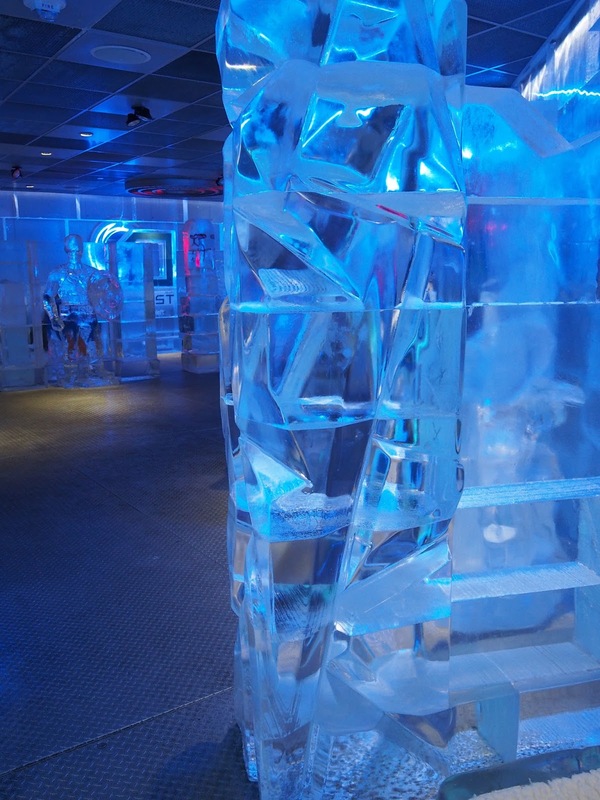 It is basically an entire bar made out of ice. 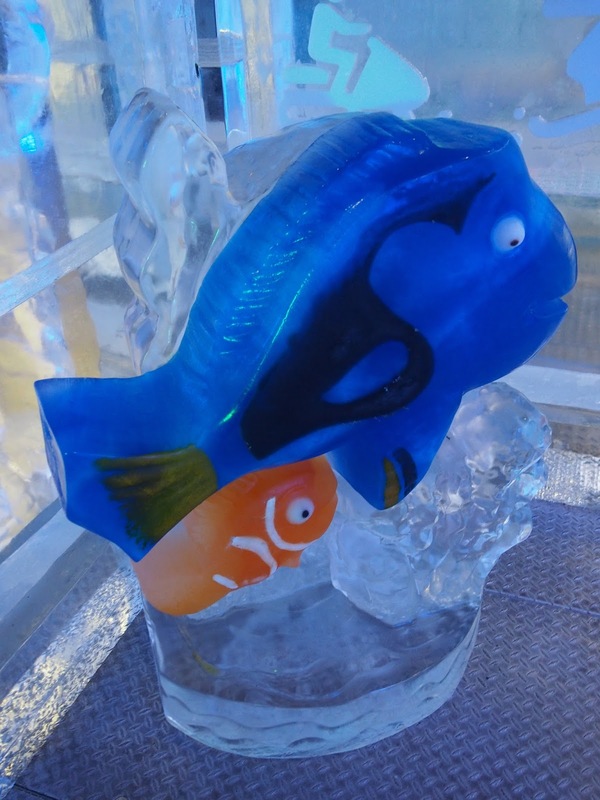 Even our glasses were made out of ice and the best part is, it is family friendly! Most of the time when you think bar you think 21+ but any member of your family can enjoy this unique "Igloo" experience, which I thought was super cool. 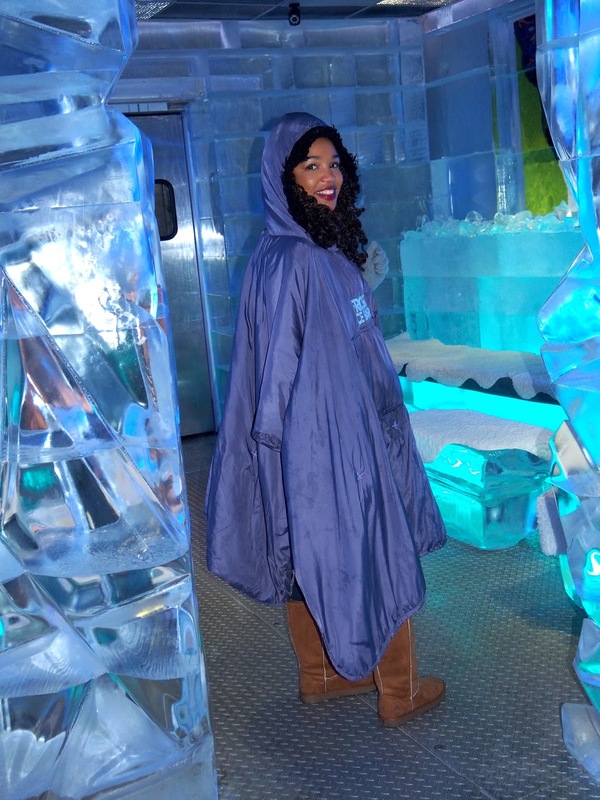 When we got to the ice bar we were given a poncho and gloves. Amirra and I chose to rent boots (since we had on sandals) for an extra $6 a pair but it was totally worth it. We were then led into a room that was 32 degrees in order to let our bodies get adjusted to a low temperature. 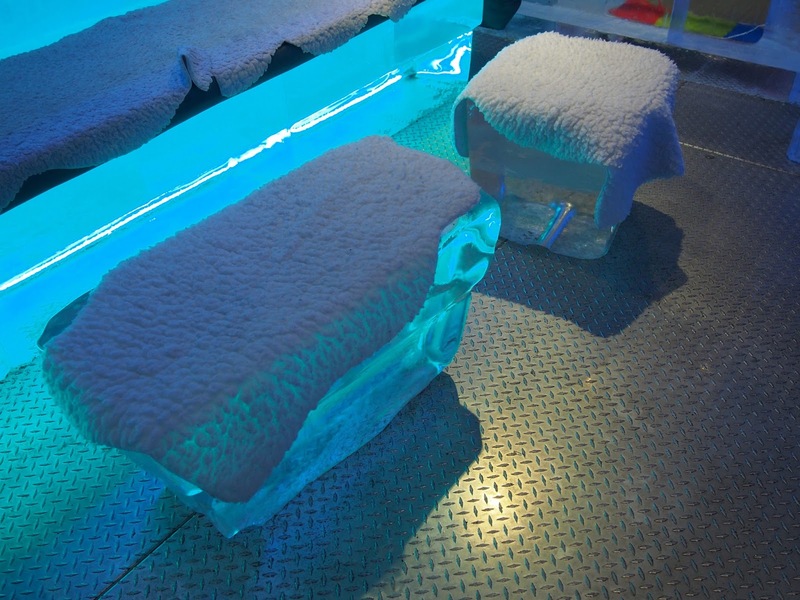 After an introduction video about the ice bar and what it entails we stepped foot into a 10 degree ice box, decorated with ice sculptures, ice furniture, basically ice everything. 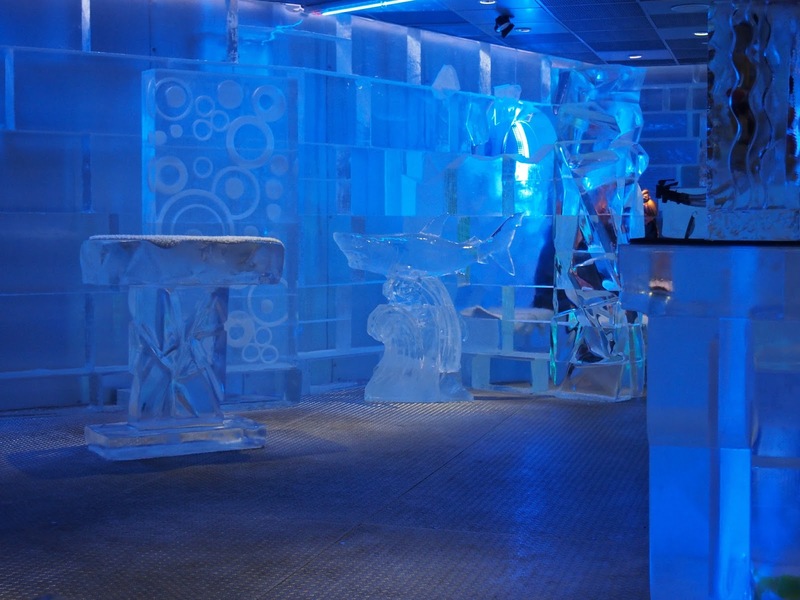 The whole entire bar is made out of ice. The walls, chairs, even the artwork on the wall: ice. The coolest thing about this experience was being able to enjoy it without the pressure of feeling like I had to get something to drink. Like I said earlier it is family friendly and there are options for anyone under 21 that wants to accompany you. After being in freezing conditions for almost an hour, Amirra and I really wanted some water...or even better hot chocolate! Until we realized, how would we get any of those things in an ice box (slow moment)! 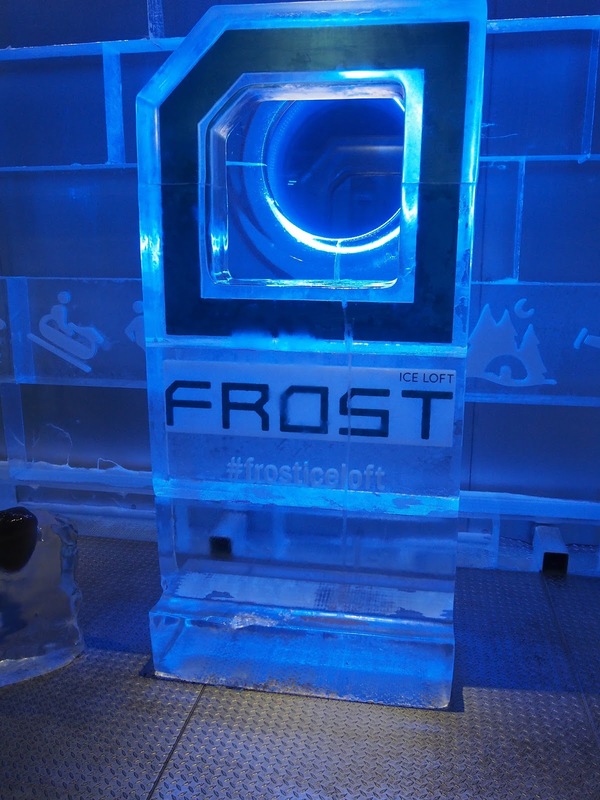 I really enjoyed the Frost Ice Bar everyone was really friendly and it was a perfect alternative to the beach for cooling off in this summer heat! I plan on writing a blog post summarizing my trip in Boston with a few things you can do if you plan on visiting the city soon! Where ever you travel, it is nice to understand that culture of that area so you can walk away having insight on what it is like to actually live there. I can't wait to share with you guys my favorite parts of my trip! Also don't forget to check out Boho Betty! You can use my coupon code (STRONG) for 20% off your purchase. We are also running a promotion where entering my code at checkout will allow you a chance to be entered for a $25 gift card! That is basically getting a second bracelet free! See how I styled mine here!